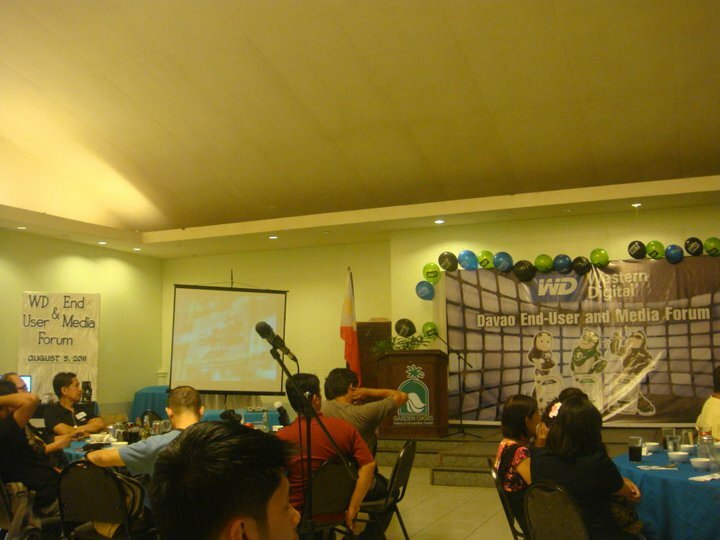 August 5(that’s one day before my birth day.lol) is the Western Digital’s Davao End-User and Media Forum date. Me, Anciro, and a number of our company marketing staff joined the said exciting Techie event conducted by Western Digital at the Garden Oasis Convention Center, one of the best place in Davao City. There were around 300 participants in the said event. Mostly from the Photography industry, Media, Techies, Bloggers, IT people and end-users to discuss things pertaining to technology especially on storage media where Western Digital was the leader in the industry. The forum highlights was the Western Digital Company Profile and the presentation of their innovative products leaded by WD Business Dev’t Officer, Mr. Noel Timbol and Nino Carandang-the WDs PH marketing officer. 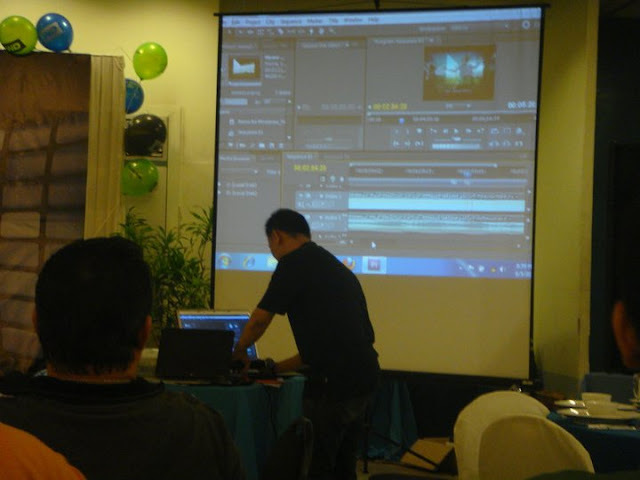 While the importance of the storage in software application performance was discussed by Mr. Rodney Yap, the President of Kinetique Systems Inc.
Another interesting topic is about Film Production and Editing presented by Mr. Kent Bajo, a creative director and Visual Artist who share us the basic concept in Film Pro. Next is the Digital Photo Editing topic which was shared brilliantly to us by Mr. Reinier Tinapay, a Photographer and an Architectural Designer working in Singapore. The open forum is the coolest part because participants are encouraged to ask questions to WD in exchange of freebies (WD tumblr, Tshirt and bags).Who will resist? 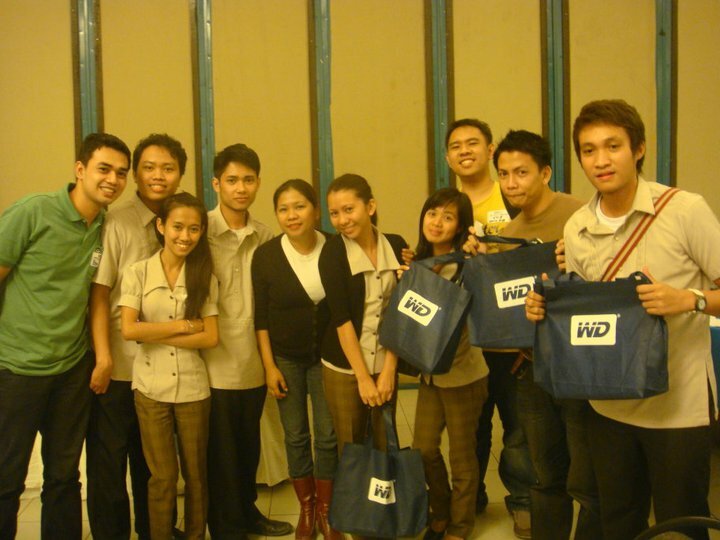 Even I chase to join.lol…Apart from freebies , Western Digital gives a free Raffle Draw of 10 units of WD Terabytes Hard Drives. Cool right? Overall impression: the forum was great .I have learned a lot of insights about WD storage media. The free dinner, freebies, prizes and adds the party; I think I should find a way to join again this event next year.